This was an interesting book. I learned about several women whose names I knew and a number who were new to me. Can't wait to see volume 2. 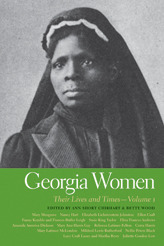 A collection of essays about famous and not-so-famous Georgia women. Includes two Augustans: Lucy C. Laney and Amanda America Dickson.